"We are committed to exceed your expectations - Period!" 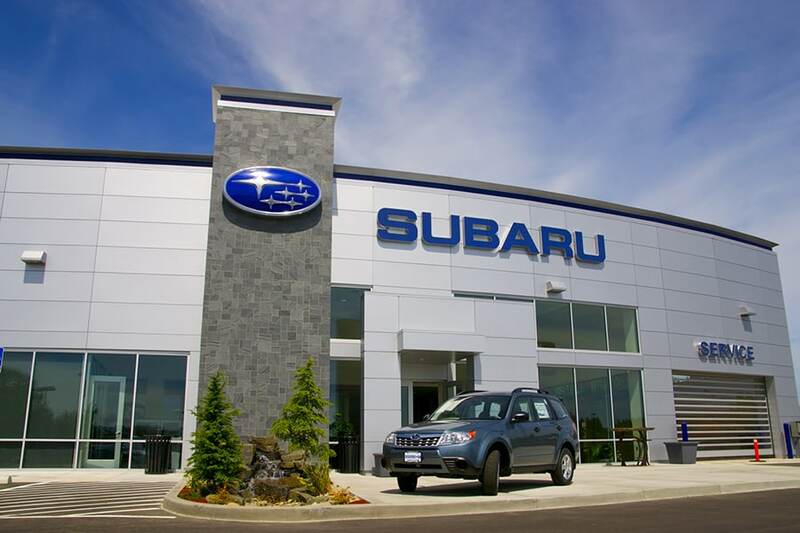 When you visit our Erie new and used Subaru car dealership, your satisfaction is our primary concern. If you value low prices and variety of high-quality vehicles, New Motors Subaru is the first and last place you will need to shop for a new or used car by Subaru. The team at New Motors Subaru is proud to serve the communities of Jamestown NY, Ashtabula and Meadville with Subaru cars and would like to have the chance to earn your business. We are ready to assist you and can easily be contacted by phone. In exploring the new Subaru inventory available at our Erie-area showroom, you'll find everything from classic picks to new favorites in our 2018-2019 new Subaru lineup, including the Crosstrek, Outback, WRX, BRZ, Forester, Legacy, Ascent, and Impreza. And while, you can do much of your pre-buy research online, New Motors Subaru, serving Erie, Jamestown NY, Ashtabula and Meadville is always happy to share specs, compare different models and present you with other options that might also suit your lifestyle. Our ultimate goal is for you to be satisfied with your decision for hundreds of thousands of miles to come. If you need any assistance finding a the right Subaru or you at our used Subaru dealer in Erie then please complete our CarFinder form and let us do the leg work for you. This form carries no obligation so please see what we can locate for you at our new Subaru dealership serving Ashtabula and Meadville. If a new car isn't in your cards right now, we invite you to browse our hand-picked selection of pre-owned vehicles. Trusted across Jamestown NY, Ashtabula and Meadville for our immaculate assortment and lifelong satisfaction, New Motors Subaru is always the correct turn to take on your quest for your new used car. To start exploring our envious lineup now, simply visit our easy-to-navigate used car inventory page, online. Or, for a more intimate pre-owned vehicle buying experience visit New Motors Subaru in person at 8670 Peach St Erie, Pennsylvania. If you are looking for an affordable car loan in the Erie area, we know that our wide-ranging resources for auto financing and our commitment to integrity in car finance will fulfill your needs and turn you into a lifelong customer. We will create an affordable lease or loan to fit your current financial resources, without breaking the bank. Visit New Motors Subaru for all your automotive service needs, and know you're getting the help you deserve from industry experts. We provide the Erie region with Subaru car repairs done to factory specifications to make sure your car is always performing at its best. We also keep a wide selection of original Subaru car parts, to fulfill your orders quickly. If we don't have your part in stock, we can acquire it easily and quickly. Learn about us, visit our dealership at 8670 Peach St Erie, PA 16509, or give us a call 888-290-6801. Our team is available to answer your automotive questions. Thanks for visiting our site, and we hope to see you at our Erie car dealership soon!